Hi, I’m Joseph Costello. 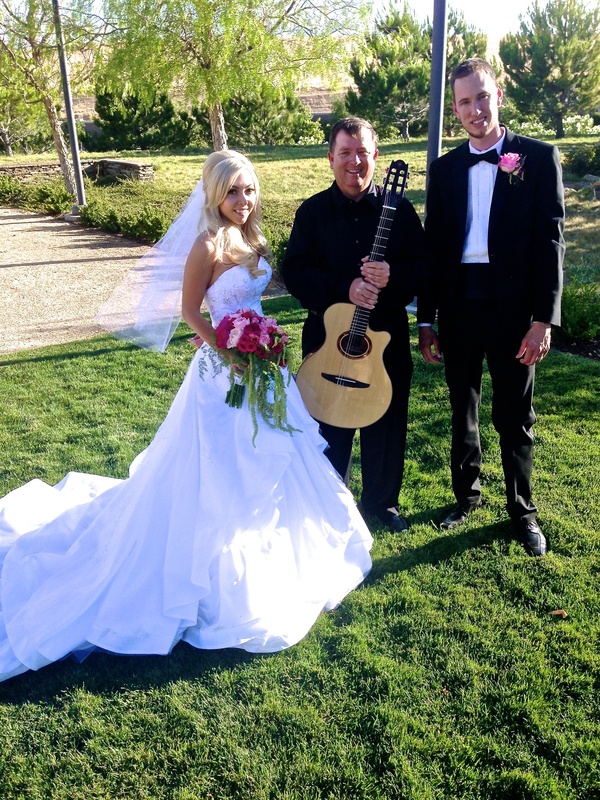 I began playing the guitar when I was 14, later I earned my Doctorate degree in Guitar Performance and have performed weddings for more than 30 years. I add a touch of refined elegance to any occasion or setting. My music will bring back great memories and leave you and your guest in a romantic mood. You will find me prompt and professional, easy to work with, and at the same time down to earth. For your wedding (from the the preservice, interlude, processional, and recessional; as well as cocktail and dinner music) I will sit down with you and design a custom program that will exceed your expectations. I has a repertoire of over 600 pieces that includes great American standards, classical, Spanish/flamenco, oldies, pop, and country tunes (see a partial song list below for 100 examples). I will create a custom guitar arrangement upon request. I look forward to providing the perfect musical atmosphere for your specail day.